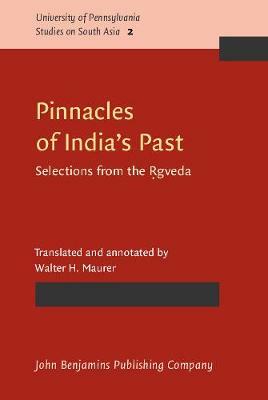 The R gveda is the oldest of the books that comprise the scriptures of Hinduism. While its age cannot be accurately determined, it can be said with reasonable certainty that it must have existed in its present form at least as early as 1000 BC. It consists of 1,028 hymns, arranged, according to the form in which the R gveda has been transmitted, in ten divisions, called man d alas. This volume consists of a selection of hymns, translated into English and annotated, as well as short introductions to the R gveda as a whole and the different themes around which the selected hymns are grouped, a bibliography, and an index.